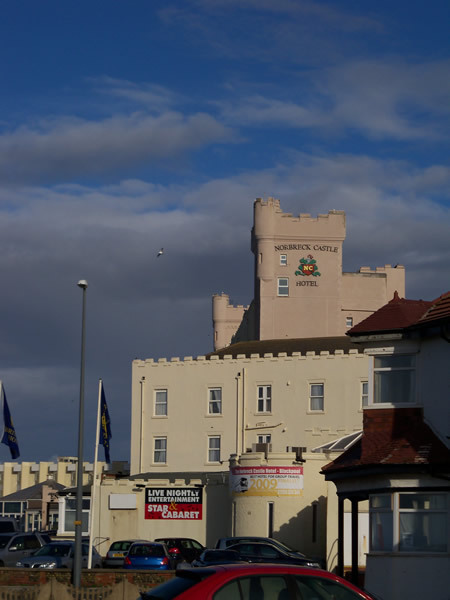 The past weekend I attended the r3play event in Blackpool, England. 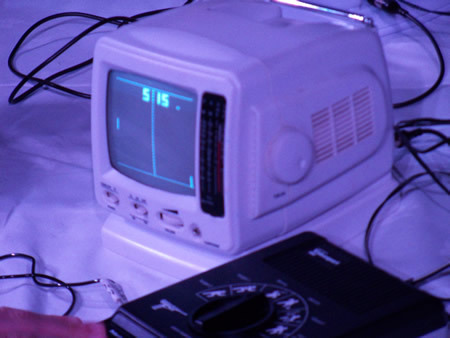 r3play was the largest (I believe) Retro Computing event in the UK, and people from Poland, Italy, Belgium & Norway (amongst others) braved the bracing November temperatures to go to the Norbeck Castle Hotel. Upon walking in we were greeted by the Nintendo Stand, which had some upcoming games able to play. The queues for the remake of Goldeneye (read our Goldeneye Review) was quite deep, but the real impressive (and quite surprising) game from this area was a remake of NBA Jam (read our NBA Jam Review) – with new graphics, new teams & (for the 360 & PS3) online play. I whipped some guy rather badly with Utah Jazz, and left to explore the rest of the area. 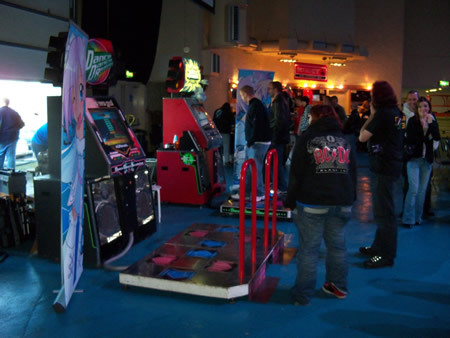 Ignoring the Just Dance 2 area (which, and I mean no disrespect, did seem a little out of place – like Jedward on Countdown), the walls were sandwiched with arcade machines. On the left hand side was a range of arcade machines, which unfortunately was quite busy, but nevertheless I managed a cheeky go on Sega’s baffling Cosmic Smash, as well as a game of SNK vs Capcom on an awesome coffee table from Surface Tension. 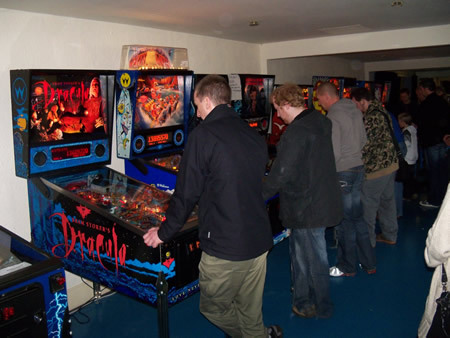 On the other wall (or rather against a wall on the other side of the venue) was a selection of pinball tables. It was there I entered the first competition, and probably my best performance – a game of pinball. When I entered, I finished third with a score of around 11 million. Probably finished a little lower. I tried unlocking a multiball, but failed miserably. Pinball! Bugger to get onto, but good once you were! The next competition I entered was on the Atari 2600 classic Warlords, on the encouragement of my new friend the_hawk from Retro Gamer’s forum. I never heard of it, but when I saw the game I recognised it – it was part of a collection an ex bought me for Christmas! Although I lost in the first round, I refuse to believe I embarassed myself, picking up one point. Toward the back of the room was Dance Dance Revolution‘s crowd (hosted by DDR:UK). I handn’t played DDR for at least 10 years, but I still got it, doing alright on a couple of songs. Nearly killing oneself in the process, but enjoyed it immensely. Although I did okay in all three of those tournaments, I quite frankly was an embarrassment on the Tekken 6 & “The King of Pong” tournament (which I limped out in the first round, losing badly 3 times – I was truly the Court Jester’s Arse Wiper’s Illigitimate Child of Pong – I was that bad), and losing 9-0 at Sensible Soccer against one of the hotel residents (which is a story in itself, the landlady was a two legged insane asylum) – however that isn’t that disgraceful as Jon Hare, the game’s inventor, lost 6-0 in the final against some guy from Poland. At the back end of the hotel was an area for microcomputers & a room dedicated to Ocean Software, one of the most impressive things however was a ZX Spectrum, that run a twitter client. 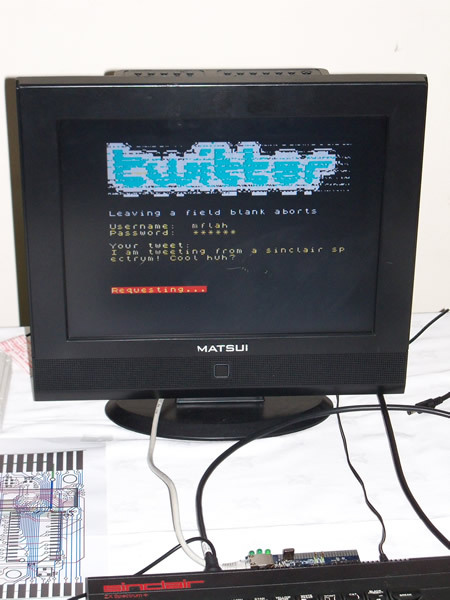 Twitter on the ZX Spectrum. Stupidly impressive! Day one was brought to a close with a Stuck in Da 80’s gig and a pub quiz, the latter of which I managed to win a copy of Armoured Core: Last Raven for the PS2. Nice game! The question I had to answer: “Name 3 Dizzy Games”. I think I named 25. Day two was much the same, but I actually got to play a lot more games. This was great, as I indulged myself in Quake & C64 classic Cosmic Causeway, I also played Sonic 4 & Virtual Fighter 5. I also won a t-shirt from the lovely Retro GT people (I did want the Text Adventure T-shirt, but settled on a Street Fighter one). Also there was a great lucky dip run by my friends Simon & Helen, who – along with the rest of the staff, worked their arses off to make the weekend a success! All in all, it was a great weekend. I recommend anybody to go to these, there’s already talk of r3play 2 next year. I can hardly wait! 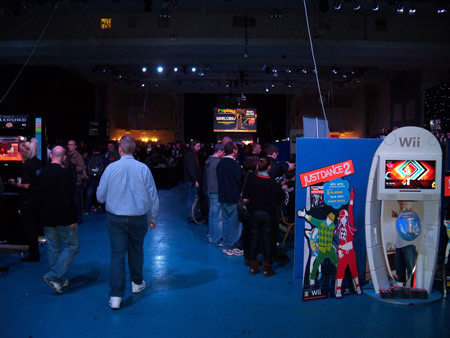 R3PLAY was the larges retro gaming event in the UK, but the second largest retro computing event. That honour goes to the Vintage Computer Festival at The National Museum of Computing the previous June, which was much bigger.